We are delighted that you have chosen to stay with us. 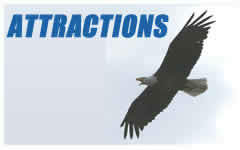 Our family and staff are committed to providing you with a warm welcome, comfort, and convenience during your stay. 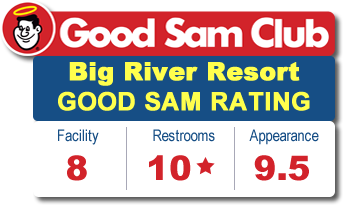 We hope you will find your visit so pleasurable that you will select Big River Resort each time travel brings you to the area. 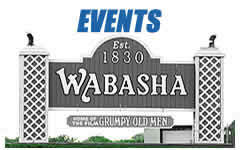 Wabasha, Minnesota is located on the banks of the Mississippi river, home of the National Eagle Center, and the town upon which the 'Grumpy Old Men' movies are based. It's the quintessential small river town and oldest city in Minnesota. We have a great cast of characters that are immensely fun to get to know! Lake Pepin historic river towns and two states clean out their attics, garages, & basements to create the most spectacular garage sale around! Bargain hunters can start anywhere along the River Road – Minnesota or Wisconsin – rain or shine. 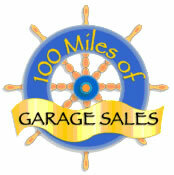 Mississippi Valley Partners sponsors the 100 Mile Garage Sale that spans all towns along Lake Pepin. 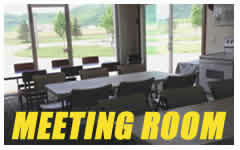 Find Participating sales from Hastings, MN south on Hwy 61 to Winona, MN, across the river to Fountain City, WI and north on Hwy 35 to Prescott, WI. You will find deals, steals, and fun. Don’t miss it!